How to Compliantly Engage Independent Contractors - Employee or Independent Contractor? 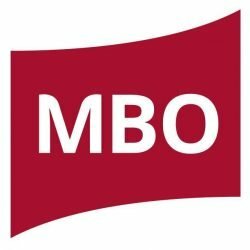 MBO Partners provides excellent guidance on how to engage with independent contractors in a compliant manner. Without proper management of these workers, you run the risk of misclassification which can lead to audits, fines, penalties, and lawsuits. Workers in nearly every specialty are moving away from traditional employment and towards an independent consulting model. As an organization utilizing this independent talent, follow these three tips to stay on top of compliance. Clearly defining worker status is a key first step in ensuring compliance. Without a clearly defined employment status, your company may be vulnerable to an IRS audit. For example, with W-2 employees, employers are responsible for payroll taxes—half of FICA (Social Security and Medicare) as well as half of unemployment tax. They are not responsible for paying these taxes on earned income for independent contractors. If an independent contractor tries to claim unemployment, it can trigger a cascade of audits on the local, state, and federal level. Your company may be able to fight the claim, but damage may already be done. Having clearly defined processes in place for engaging managing independent contractors, as well as using written agreements, is a very important part of remaining compliant with laws. Ensure current practices are up-to-date and that company HR and hiring managers follow these practices when finding and engaging independent talent. As you begin to engage independent talent, familiarize yourself with these agencies and their rules to make the best compliance judgments. If you are unsure of how to navigate these legal nuances, consider working with a firm that specializes in independent contractor engagement to help you properly assess your existing independent talent and engagement methods. From maintenance to management, you should know every independent worker in your organization and what their role is. Not knowing exactly what non-employee workers do, how much they are paid, and why they are not, in fact, considered to be employees can be a recipe for disaster. Without proper management, independent contractors may be misclassified, putting your organization at risk for audits and penalties. Always remember that independent contractor compliance is a real issue. To protect yourself, it’s important to employ risk mitigation techniques and to put an independent workforce management program in place that takes important factors into account such as your particular industry and state criteria for proper classification. Not only will an effective program help you protect your organization—you’ll also maintain peace of mind and become a more attractive place to work.